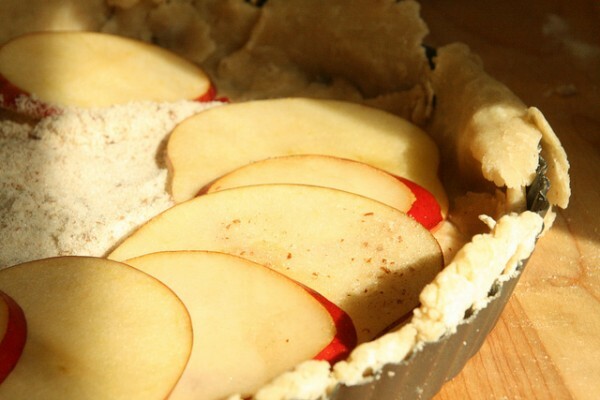 If you have an abundance of apples, as many of us do this time of year, this apple pie is a perfect way to use them up. Part of a complete apple feast. Julie Sophonpanich and Zoe McKinnell are seniors and roommates at Brown University. 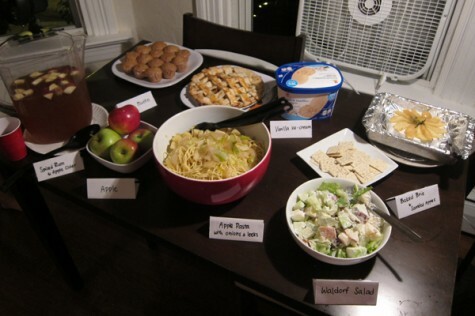 They love hosting themed dinner parties for their friends and exploring various restaurants together. Wash and peel the apples. Cut the apples into small slices. Mix together butter, cinnamon, nutmeg, and brown sugar into a large bowl with the sliced apples. Then, pour the mixture into the pie crust. Cut the pie crust into thin slices. Place it on top of the apple pie in a criss-cross direction. All your apple recipes sure look delicious. Will try your muffin recipe sometime. I have a very easy to do pie crust recipe which will not even get your fingers dirty. If you want, I can send it you anytime so you can even make your pie crust from scratch.